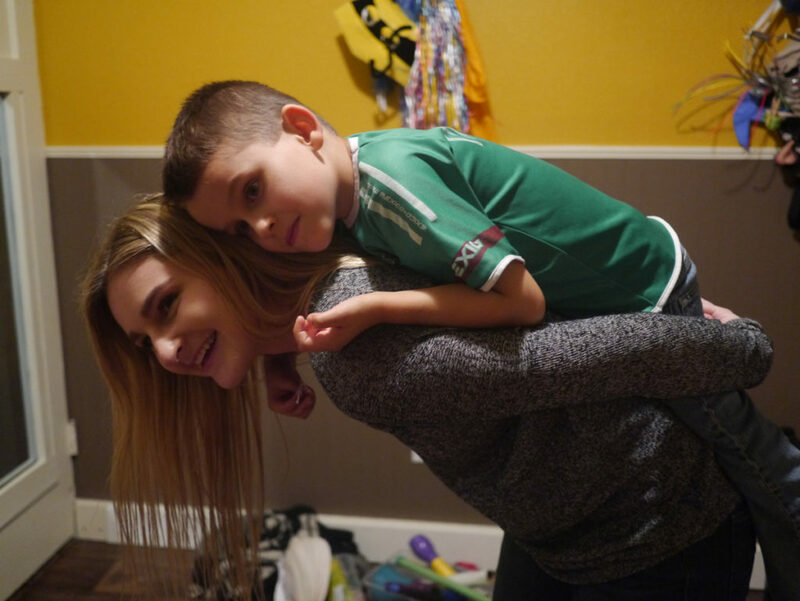 BATTLE GROUND — “Life changing.” That’s how Hailey Landon describes the six hours she spends each week with six-year-old Asher Trigg and his family. Landon, 19, volunteers with the Son-Rise Program, which uses structured play to help children on the autism spectrum make sense of the larger world. Twice a week, the Battle Ground resident drives to downtown Vancouver for breakfast with the Triggs. “Then I go in the room,” she says. 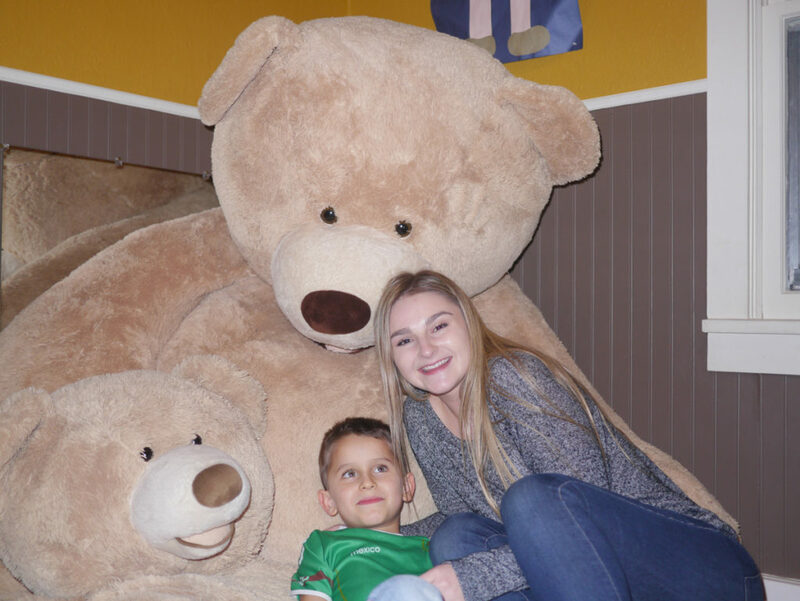 Taisha and Jesse Trigg have converted their elder son’s small bedroom into a playroom with a padded floor, and lots of books and toys. A two-way mirror allows them to monitor and then coach volunteers. 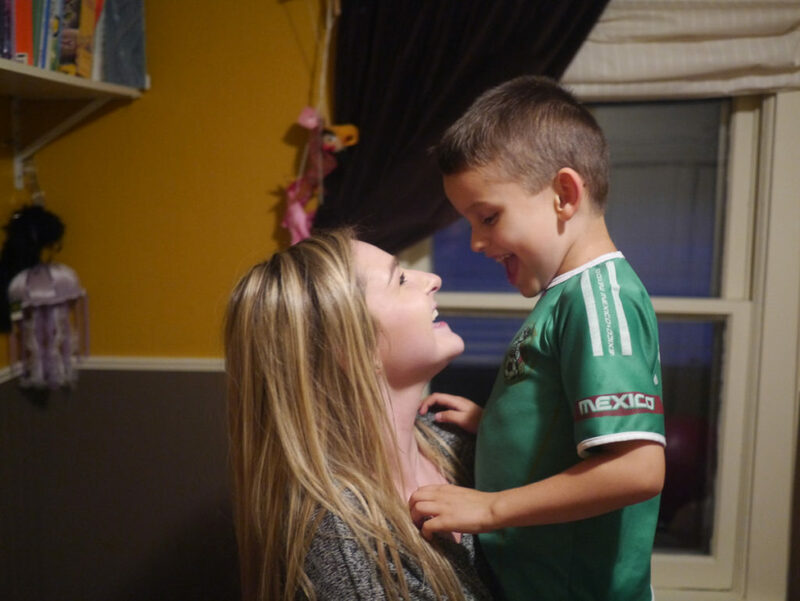 Six-year-old Asher Trigg needs 18 volunteers to provide his intensive therapy, six hours a day, six days a week. He currently has nine. Other days Asher is a little quieter. Then, the two of them lie on his giant stuffed bear reading books and singing songs. And some days, Asher is not very interactive. He paces. Focuses on his favorite red and green pens. Does or says the same things over and over again. Then Landon joins him in whatever he’s doing. Most autism interventions focus on behavior modification. But Son-Rise sees autism not primarily as a behavioral deficit but as a relational deficit. The program focuses on entering the child’s world and developing a deeply-bonded relationship with him or her. Then, from that basis of relationship, volunteers invite the child into their world. Landon says her favorite moment came recently. The changes in Asher have been breathtaking. He has begun laughing. Having conversations. Interacting with his parents and brother, Silas, 3. But Landon says the changes in her are even more profound. “It’s easy,” she says, “to get stuck in negativity. But you can always be more positive. It’s made me more grateful. Carolyn Schultz-Rathbun is a resident of Hockinson and a freelance reporter. She can be reached at cjschultzrathbun@gmail.com.